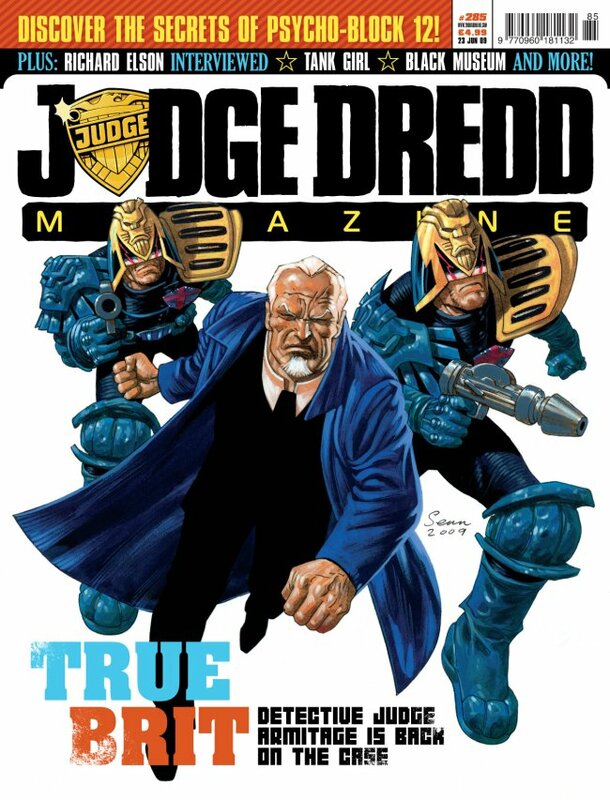 Including a whole bunch of work on Crisis; not including a one strip for Daily Star Dredd, which I’m very curious to see. 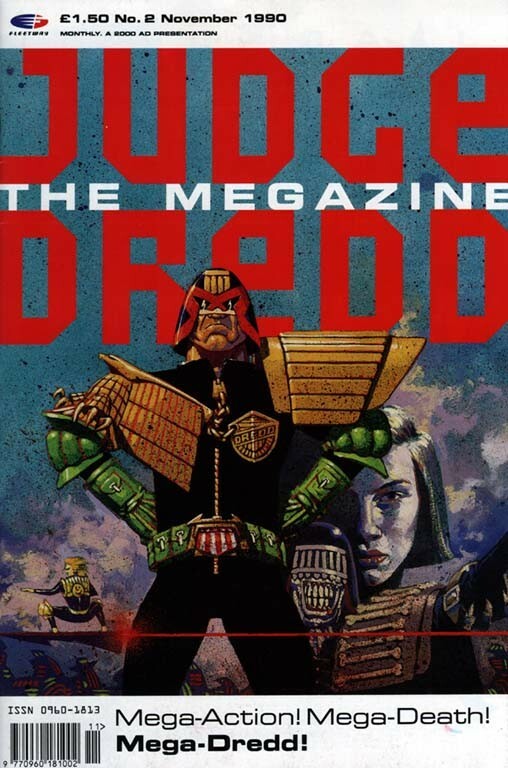 And it probably should include a count for his time as designer on the Megazine, credited to "Mr and Mrs Phillips" for Volume 1. This may have ben intended as the cover for issue 1. That's Phillips's logo design, too. Nifty! 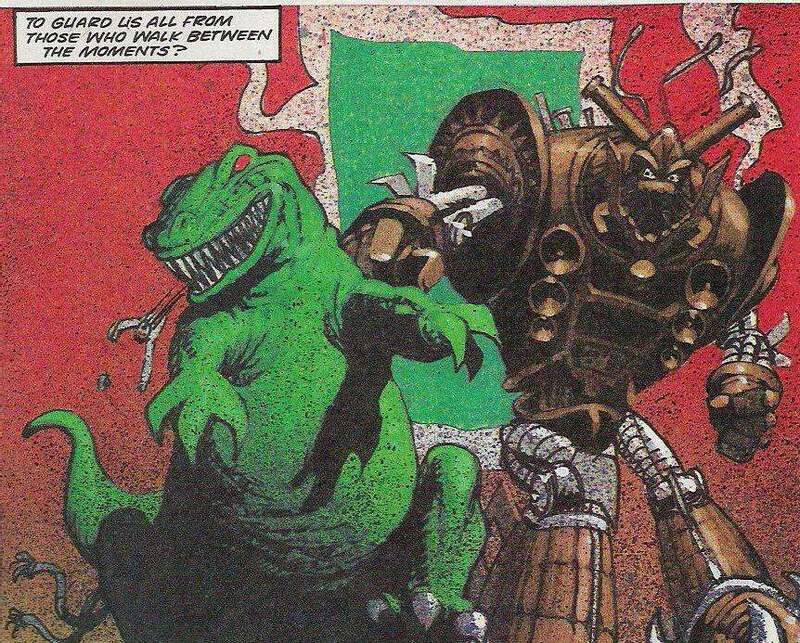 Dinosaurs and giant robots were not Phillips's forte. Chunky limbs and gigantic chins. Well-tailored characters. Proper fine-art sensibilities, with gorgeous attention to anatomy. A radical shift in style from lush paintwork to super-sparse linework. But married by an unerring sense of design, in terms of page layout, panel layout, and generally guiding readers' eyes all over the place. Love this piece as an example of figure work. 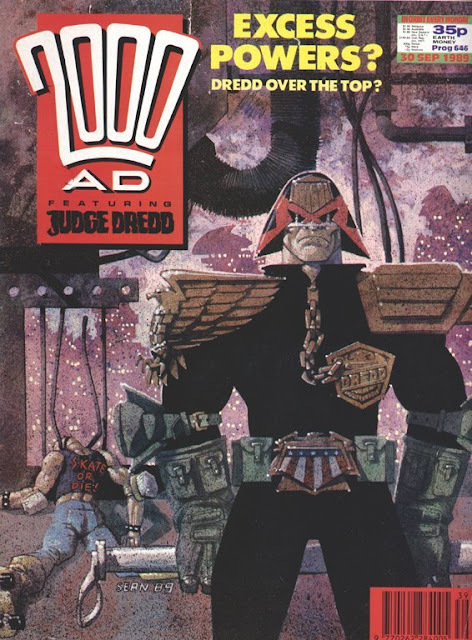 Sean Phillips is yet another creator who is now world famous, and whose work on 2000AD (and its stablemates) is perhaps largely unknown to comics fans outside the UK. He was also, evidently, something of a child prodigy a la Steve Dillon and Garth Ennis, getting his first work as a teenager (on British girls comics, which were still a thing back in the mid 80s). 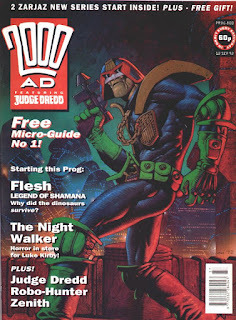 By the early 90s, he was a proper rising star, called on to do quite big things such as designing parts of the brand new Judge Dredd Megazine*, and creating major series like Armitage and Devlin Waugh (not that people could necessarily have predicted how big a deal that second character would become, I suppose). All this, weirdly, off the back of his first published work for Tharg, in which he was obliged to do a sort of Jim Baikie karaoke on New Statesmen. 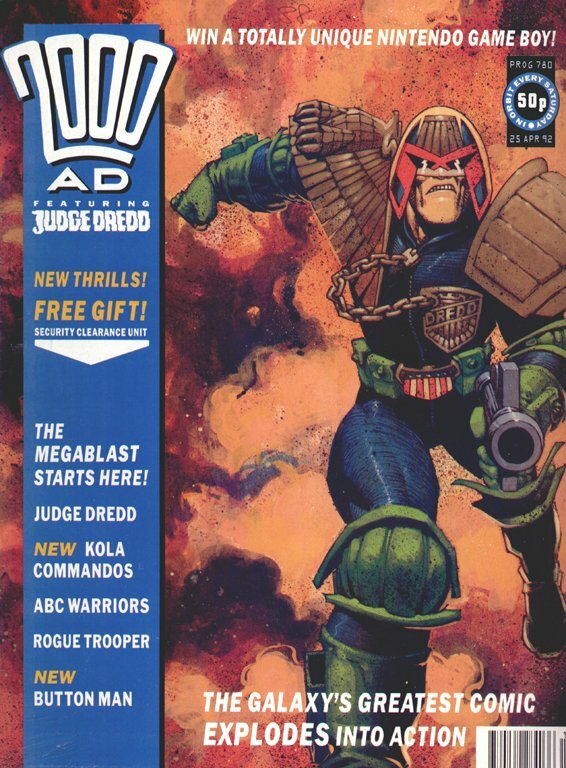 Knowing how far Phillips’ style would evolve, it’s quite fun now seeing the artist that he would be struggling against the artist doing his best effort to try to be like someone else. He's captured Baikie's faces perectly, and even the way he draws fabric. But the poses are pure Phillips, if you ask me. I would say that both are tremendously dynamic, and give good fluidity, but apart from that they couldn’t be more different. If I’m honest, my first reaction to Phillips’s work – his early Prog and Meg covers – was that it was rather blocky, kinda grown-up, and a little off-putting for that specific reason. Phillip's first Prog cover. Metal bars, pipes, skating refence, urban grit and squalor. It's so effing 90s it hurts (even though its' 1989). But it remains a powerful image. If I’d seen his work on the later Third World War, where he could do his own thing, I might have been more pulled in! And his run of Crisis covers were proper artschool. Painting with many textures. 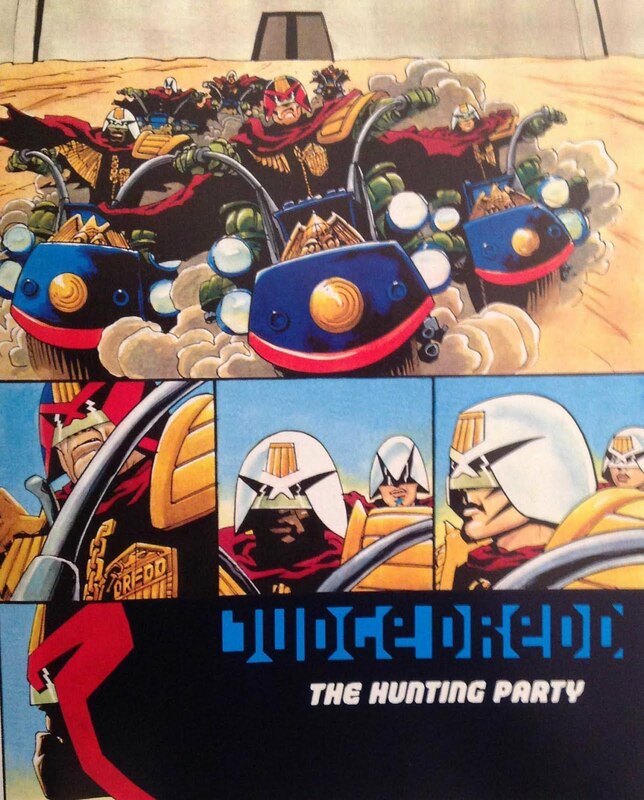 And perhaps one of the best kiss depictions in Tharg's output? But no, what I actually saw next was Danzig’s Inferno. 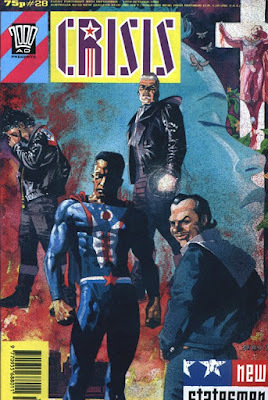 Yup, that Sean Phillips himself in the middle, looking as confused as us readers. More beautifully ugly pipes and wires. I skipped it when it was first printed (me age 12) on account of it just being too far out (with large dollops of grown-up + pretentious). 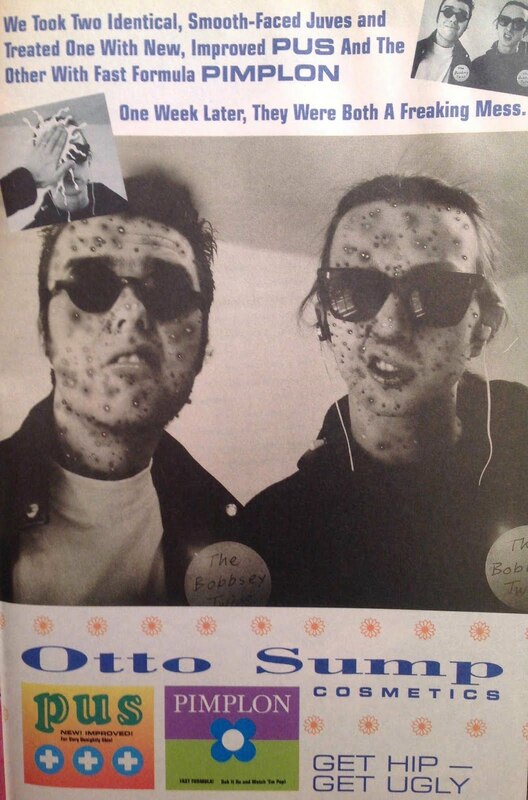 I read the panels but could make not a lick of sense of it on my only Prog Slog, a few years later (me age 16). It’s only in the last year, when the strip was reprinted in a Meg floppy, that I’ve actually engaged with the story properly. It’s pretty good, all told. And knowing that it was supposed to be 1 or 2 parts longer explains quite a lot about why it’s got so much compressed weirdness. And collage. 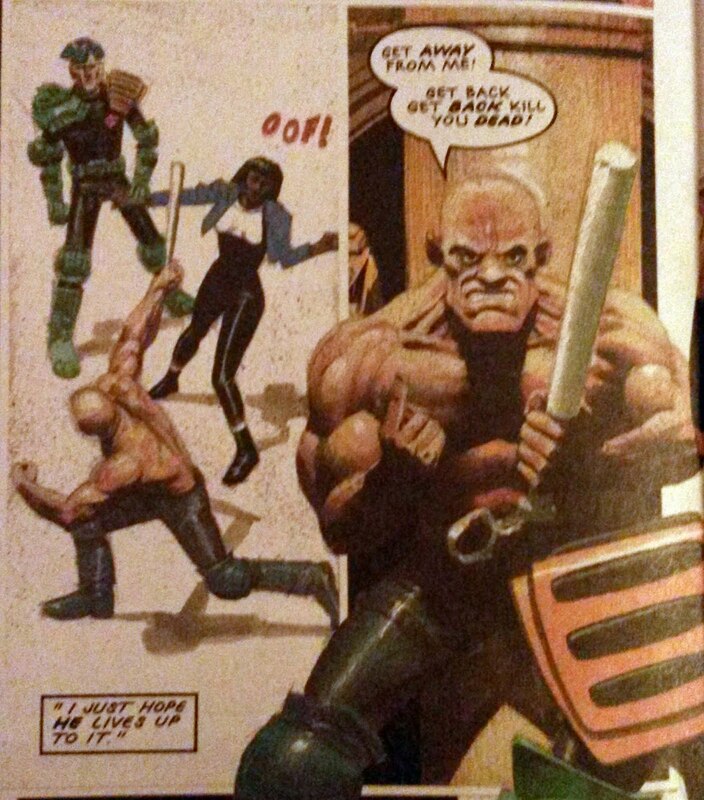 You gotta admire the experimentation going on, in Smith’s script as well as more overtly in Phillips’s art. Onto Armitage, then, the first Phillips series I actually engaged with on any real level! 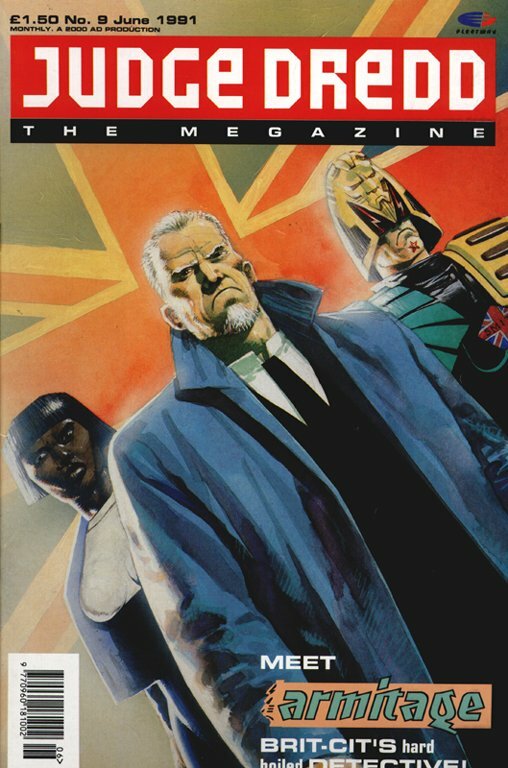 Like a lot of Megazine series, it took young me a while to realise what the story was actually meant to be about - elitst corruption at the heart of Brit Cit government – where I’d thought/hoped it was going to be a generic cop procedural. But that’s an examination for another post. 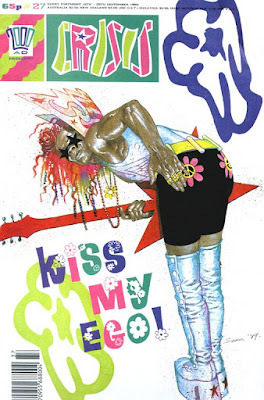 I would note that, bizarrely, one thing that perhaps threw me off the scent was just how clear and delightful Phillips’s art was. You’ve got Detective Inspector Armitage, who is very obviously an Inspector Morse riff, only with more physicality. Then you’ve got Treasure Steel, his new assistant and our point-of-view character, who is not, to my knowledge, based on anyone in particular. They’re both, from the off, incredibly well realised. Dave Stone gets a measure of credit, of course, but there’s so much in Phillips’s way with costume design, body language, and above all facial expressions that sells it hard. I liked these characters from the start, and wanted to read their adventures. That is some gorgeous panel layout work right there. It really hits home the tension between the characters. and yet there's a dynamism to it all the same. Also, more mad msucles! The more cartoonish supervisor, Warner, and the too cliché pathologist (who at least has the decency to end up being a vampire), threw me off a little, although again they’re well-rendered by Phillips, who leaves the reader in no doubt as to how we should read these characters (elitist oldboy prick and somewhat overly efficient super-cynic, respectively). The setting of the New Old Bailey, too, is a gorgeous mix of classical old and high-tech new, balanced by Armitage’s embracing of old - but not elitist, classical old - and Treasure’s world of new - but not establishment-sponsored new. 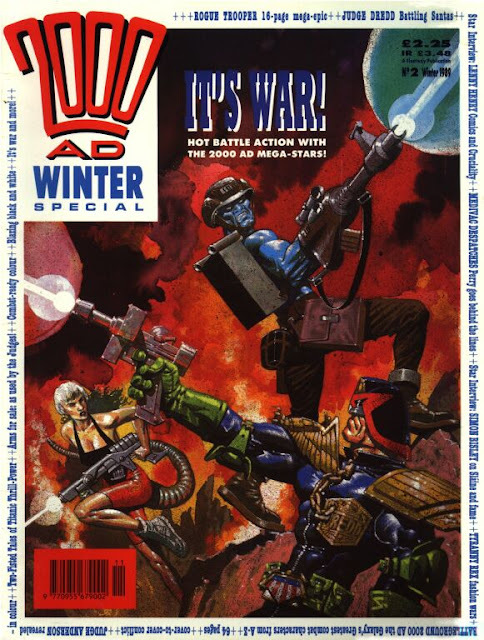 There’s a lot going on in the setting is what I’m saying, so it’s a shame that first story itself is merely OK. For me it’s the work of Phillips as much as Stone that gave the series the legs it would prove to have (unlike, say, Red Razors, which even Steve Yeowell at the height of his early powers couldn’t save from a story that disappeared up its own self-congratulatory orifice). That's Phillips on the left. I’m glad that he, MacManus (and presumably a young David Bishop) were having fun, that’s all I’ll say. 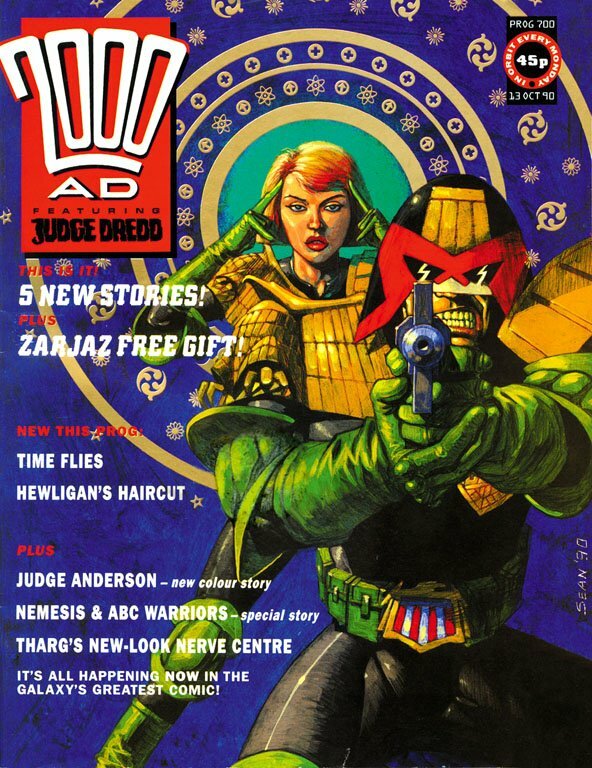 Back in Armitage mode, Phillips was an instrumental part of launching the Megazine volume 2, introducing Devlin Waugh. Swimming in Blood was arguably so well-loved it may have been what really put Phillips into the stratosphere, setting on the path of international glory. Being a contrarian, I didn’t like it much at the time. 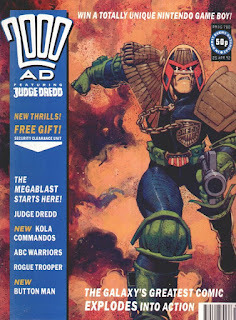 Oh, the art and story are both well-executed, but I couldn’t quite see the fuss for riffs on Silence of the Lambs and Aliens (two films I happen to have seen an embraced at almost exactly this time). But let’s acknowledge quite how well Phillips delivers Deviln Waugh. Again, it’s all in the tailoring, the postures and the expressions. Such glorious tailoring! And that pose. I occasionally forget that 'Swimming in Blood' is mostly a horror story. 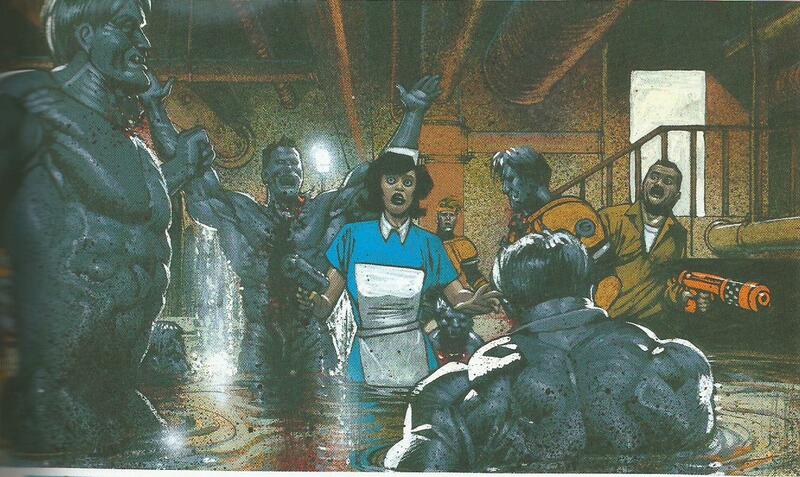 Then I stumble across scenes like this, which remain chilling and tense even as a singel panel. 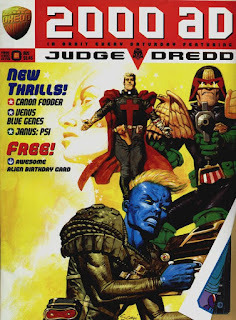 Phillips is that rare artist who has produced more pages for the Megazine than he ever managed for 2000AD itself. 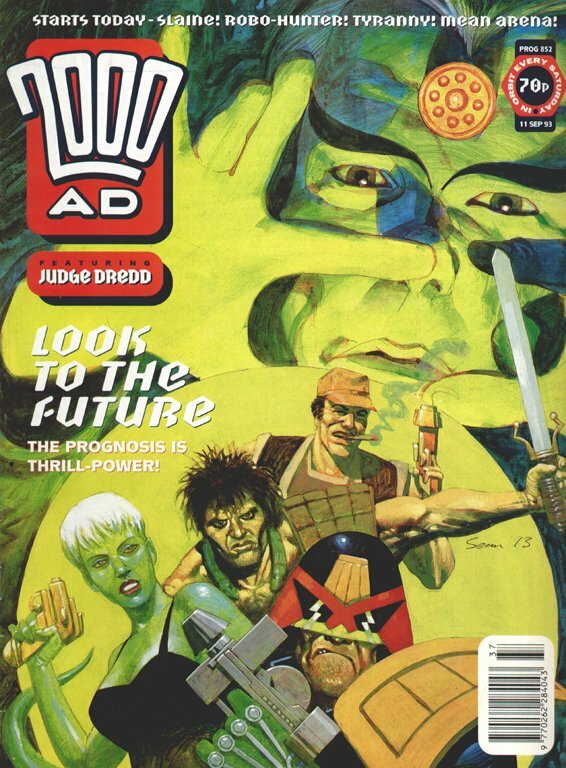 Plenty of covers on the Prog, and cracking ones at that, but not much on the series front in Tharg’s flagship periodical. 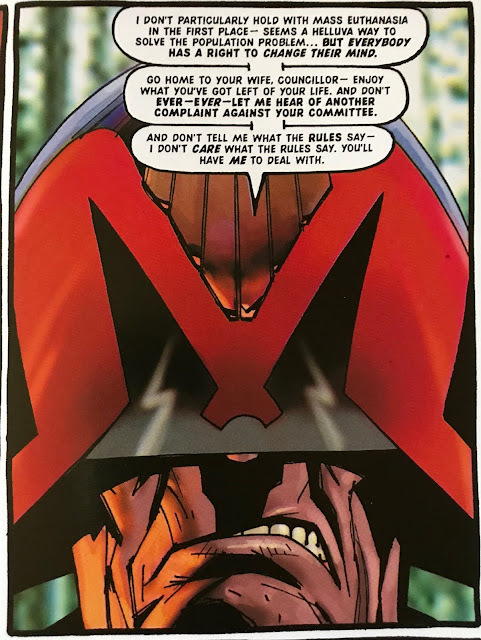 Judge Dredd: the Marshal was his longest, in the Armitage/Devlin style. Never afriad to fill up an awkwardly shaped panel with an extreme close-up. And then he seemed to disappear for a few years. He returned with a radically different look, much more relaxed, eschewing the paints altogether. I guess they weren’t so fashionable then, or maybe it’s just that Phillips discovered he was quicker without them, and perhaps more confident. More immaculate panel layout work. Shades of Phillips's noir comics to come? He certainly injected this Sinister Dexter outing with a ton of pathos, despite the series, at that time anyway, being largely a knockabout comedy. Special mention for his opening episode of The Hunting Party. 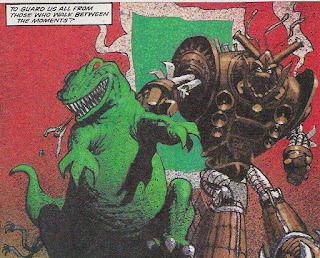 Like Mike McMahon on the VCs, Phillips was tapped to create a bunch of new characters, and generally set a certain tone for the mini-epic to follow (a tone that was roundly ignored by the succession of artists, but no matter. It’s a pretty weird epic that matches the Cursed Earth for complete random collection of settings and stories). and character with very simple basic ingredients. 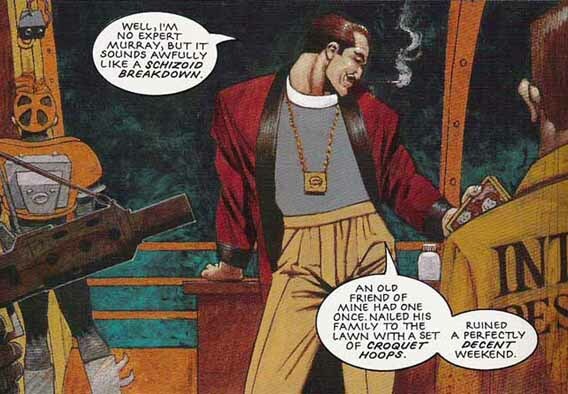 And I couldn't resist sharing this panel of Dredd giving a wealthy man a proper dressing down. So severe! Who would win in a 'hard staring' contest - Dredd or Paddington?? 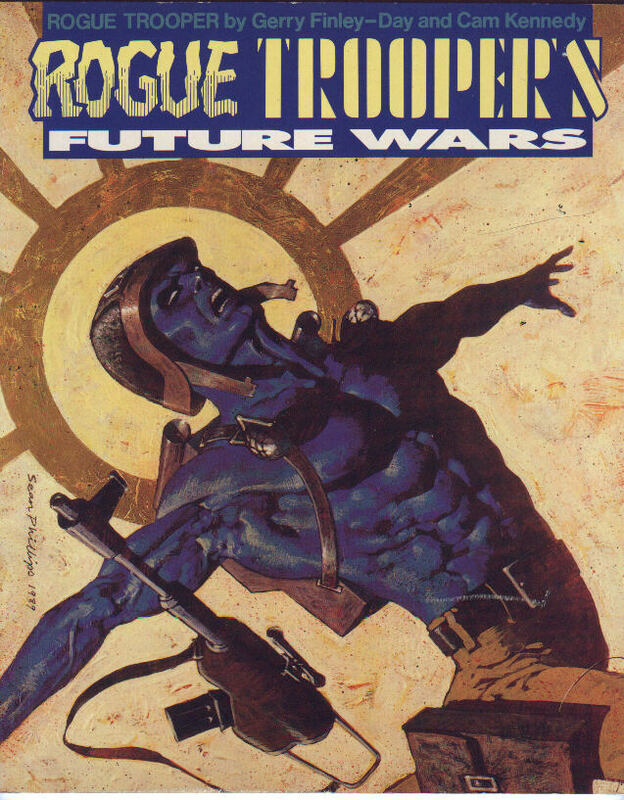 In the longer term, we get special Phillips appearances on the covers only. I always take this to mean that the artist in question retains a fondness and respect for 2000AD, and wants to contribute more but can never fit an actual strip into their schedule. When you’re Sean Phillips, king of modern noir comics, that’s the tightest of all schedules! Sure, I’d love to see him in the Prog/Meg again, but I wouldn’t want him not to keep doing Fatale, Sleeper, Criminal, the Fade Out and all that good good stuff. And we always welcome the tmie he can spare for covers, too! 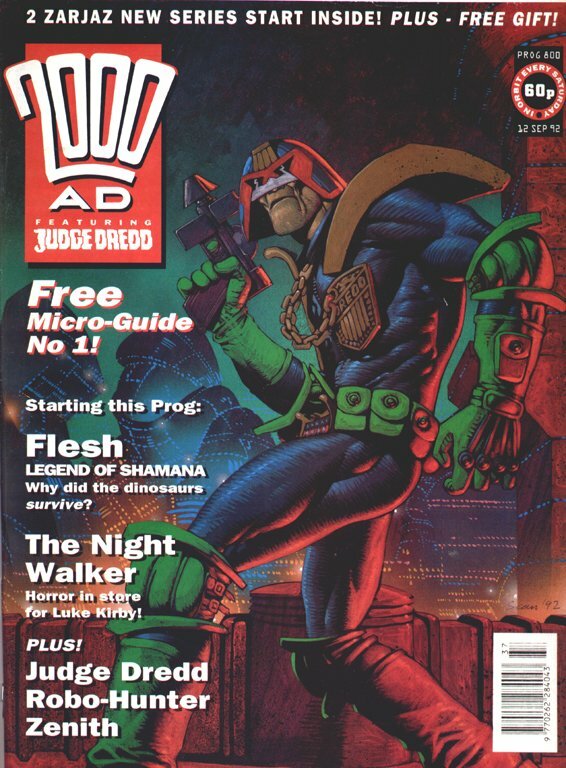 -but I’ll be honest, much of the recent stuff focuses on Phillips’s more recent work, not much about his time on 2000AD / The megazine, naturally enough. 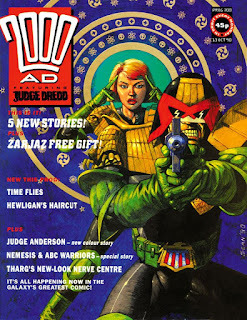 *One of the rare bits of controversy explored in Thrill Power Overload concerns the feathers ruffled when youngster Sean Phillips was given the kudos of designing the logo and cover for issue 1 of the Megazine, only to have it given to ‘old master’ Glenn Fabry at the last minute. I’m guessing his issue 2 cover would’ve been the original issue 1?